Just as she was flowering into her teens, life uprooted Dawn from the tanned crowds and sunny beaches of southern California. It transplanted her into rainy, rural Washington, where she strove to adjust, mature and thrive. Love came to Dawn--and was ripped from her by events and manipulations she could not control. But Dawn had a core of steel. An emotional castaway, she battled grimly through life's trials and sorrows, safeguarding her heart against further ravages. Then love reached out to Dawn once more--if she could find the courage and spirit to grab it with both hands, and this time, never let go. This is her story. I took his sandwich and fries and put them in a brown bag, folding the top over so the food would stay warm if he didn’t eat it right away. I slid the window open and handed it through to him. He looked a little dazed, but gave me a half smile and handed me a ten-dollar bill. When I gave him his change, he had an odd expression on his face, like he’d seen a ghost. “Did you go to Mossyrock High School?” he asked. “No, Class of ’81.” I stared at him harder, trying to place him. It wasn’t unusual for someone I went to school with to recognize me at the drive-through, since we weren’t that far from Mossyrock, but most were a year or two behind me. He didn’t look like any of the underclassmen I could remember. He eased the car forward, like he was going to just drive off. I searched my memories, but I was coming up blank. I gave a small shake of my head, feeling a little helpless. I hated it when someone recognized me and I had no clue who they were. I could tell he thought that would end the mystery, but it didn’t. Maybe it was the exhaustion of having been awake for nineteen hours, but whatever the reason, I wasn’t making a connection. I bit the inevitable bullet. That struck home. He had expected me to remember him, but I just didn’t. I don’t know if he kept talking after that, because I wasn’t able to hear any more. There was a sudden ocean’s-roar in my ears that blocked out everything else. I had buried everything about Shawn so deep that I was sure it would never resurface. I had thought I would never see him again. Now here he was, right in front of me. The last I had heard, he was married, had kids, and had moved away. His Mom had never missed a chance to tell me he was happy. Memories and emotions churned through me, and I was helpless to stop them. I took a step back and my hands flew to my mouth. Somewhere deep inside, I knew I was losing it, but I knew that from a distance, watching myself freak out. I couldn’t speak, I couldn’t move, I couldn’t do anything. I was vaguely aware that Shawn was still talking, but I couldn’t hear what he was saying. That rushing noise in my ears was blocking out everything else. Out of the corner of my eye, I saw Connie walk over and smile at Shawn, and he was talking to her. Shawn is talking to Connie. Does he think she’s his? If he does the math, he should know she’s not… I was rooted to one spot, chanting “Oh my God.” I didn’t know if I would ever be able to stop repeating that. Memories flooded through me. I remembered laughing and talking and playing catch in our yard, dancing barefoot after Prom, soft kisses and feeling so safe in his arms. I was always safe when I was with him. Then I remembered that he left. He left and never came back. Off and on over the years, I had tried to locate him, but had never found him. I didn’t want to talk to him, mostly because I didn’t want him to know how my life had turned out, but I wanted to know where he was, if he was doing well. He and Connie eventually finished whatever conversation they were having, and I saw his car ease forward. He took one last look at me over his shoulder before he turned right onto Harrison, headed toward I-5. I looked at Connie and finally found the ‘off’ switch for the constant repetition of “Oh my God.” I nodded a little, but was having a hard time focusing. “That was my first.” Connie’s eyes widened. I didn’t have to explain. My brain started to work again. He’d said “We went to school together.” Was that all I was to him? A classmate he left behind while he went on to bigger and better things? I still had salt and pepper shakers to fill and tables to wipe down while Connie cleaned the grill. In just a few minutes, I was supposed to meet the guy who was taking me to the casino, but I had forgotten all about him. All I could think about was the feeling I’d had when Shawn and I were together. I should have been getting ready to go, but I felt like I was stuck in the 70s. 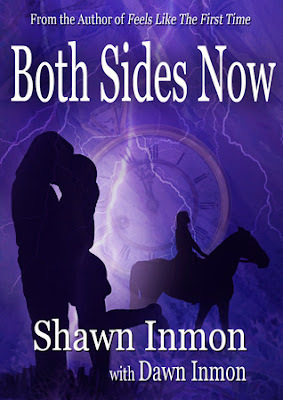 Shawn Inmon is originally from Mossyrock, a very small town in rural Washington State. 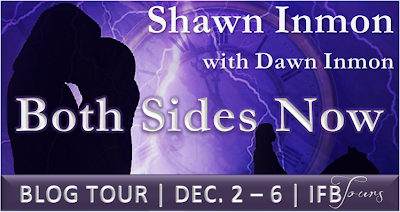 Shawn used Mossyrock as the setting for his first bookFeels Like the First Time. He has been a real estate broker in Enumclaw Washington for the last twenty years. Prior to that, he worked as a short-order cook, travelling T-shirt salesman, radio DJ, Cutco Cutlery sales rep, department store buyer, video store manager, crab fisherman, Kirby vacuum cleaner salesman, business consultant and public speaker. Shawn has often said that he learned everything he needed in life by having 400 different jobs. 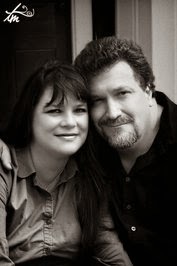 He married his high school sweetheart Dawn thirty one years after he first asked her for her hand. Together, they have five daughters, five grandchildren and two chocolate labs named Hershey and Sadie. Design by EvieSeo. Powered by Blogger.